Image: Eric/Flickr//Original photo was cropped but not altered for this article. We’ve all dreamed about sleeping in and then waking up to a delivery of warm and cheesy burritos. Or is that just me? Either way, I think we can all agree that laziness and burritos is a magical combination. That’s why people are freaking out over the news that Chipotle, everyone’s favorite fast-casual burrito joint, now delivers. The company is partnering with delivery service Postmates, which services 15 states and 67 cities. Lucky folks living in these areas will be able to order Chipotle from the comfort of their own homes, whether that means nursing a hangover in bed or while relaxing in the tub. 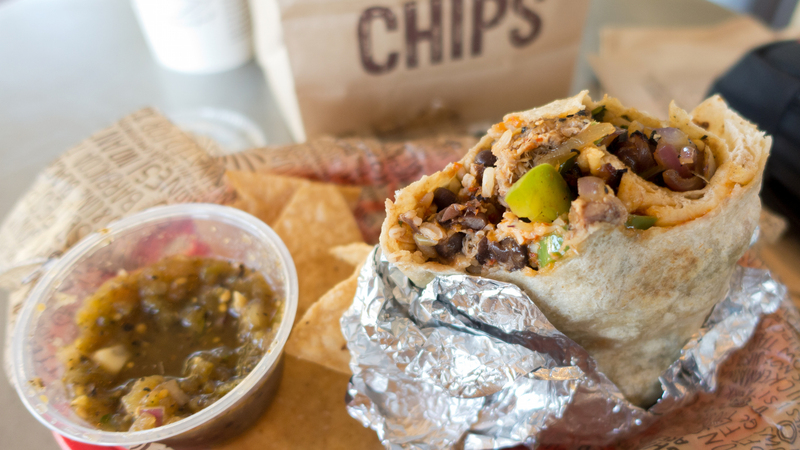 Within an hour, your chicken burrito yes-I-know-guac-is-extra bowl will be at your doorstep. The one caveat is that the delivery fee can get kind of steep depending on where you live. But when you’re paying extra so that you can get a burrito without having to put on a bra and leave the house? Yeah, I’d say it’s worth it.